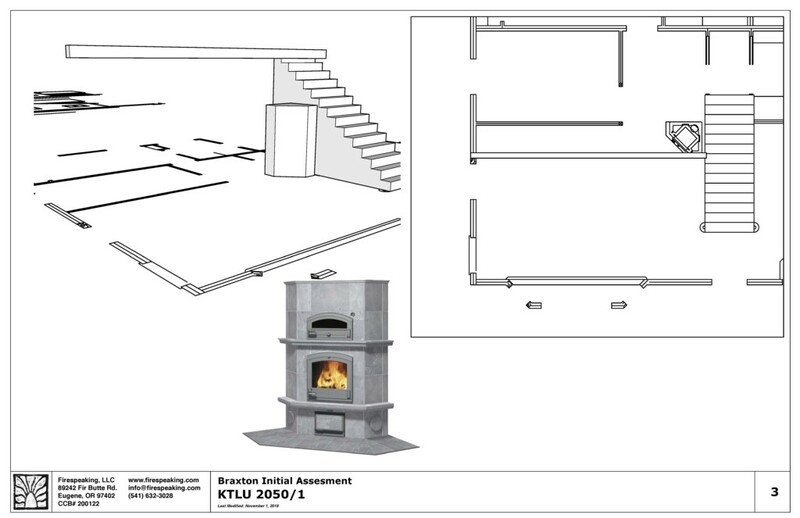 This is a chronicle of design development for a custom Tulikivi masonry heater that shows the process of communication between us, our clients, Tulikivi, and Tulikivi’s design team. 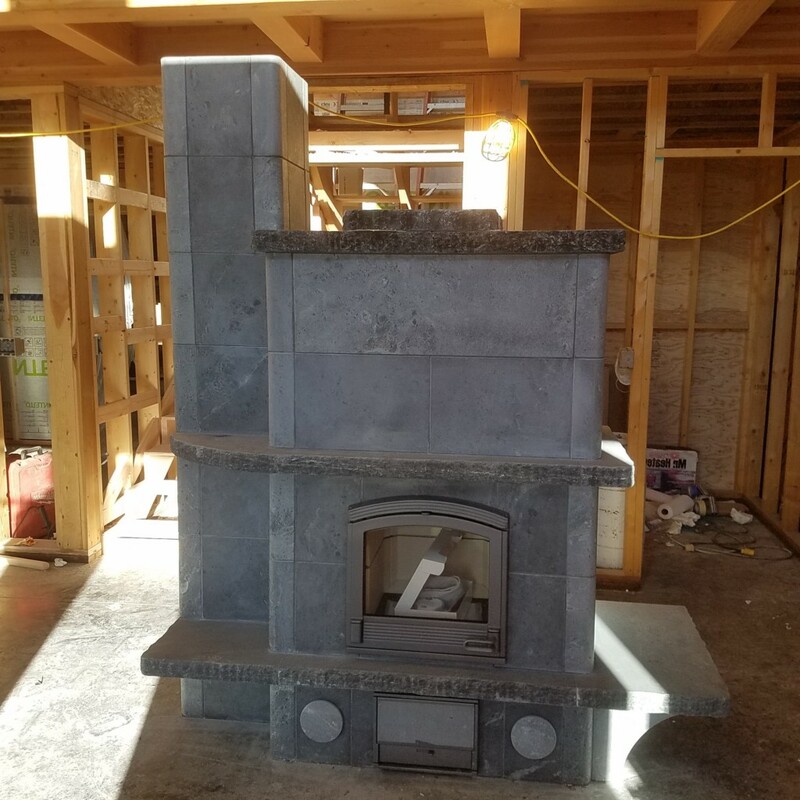 Upon making a site visit and meeting with the clients and the home builder at the rough framing stage, an issue with the way the chimney placement was dictated by a minimum hallway clearance of 36″ on the second floor was identified. This caused me to change the proposal from a top-venting unit to a bottom-venting unit with a side chimney extension so that we could shift the chimney location and meet the necessary clearance on the second floor while maintaining the relationship between the heater and the living room on the first floor. 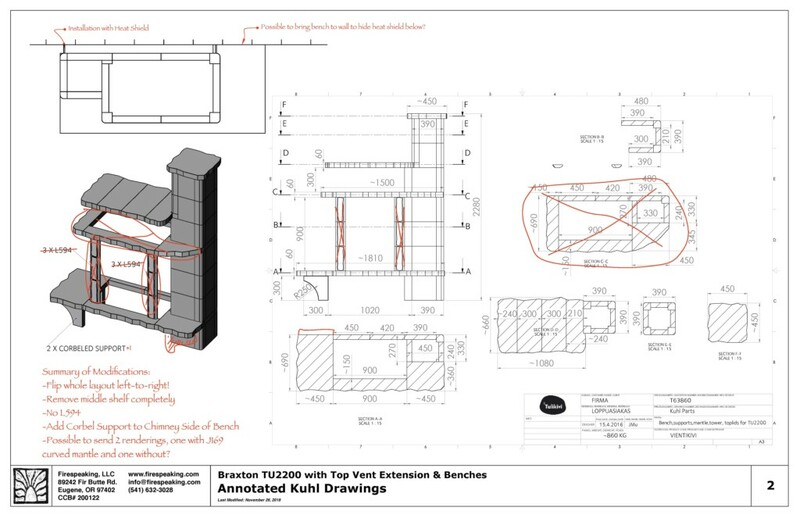 Hence… This pivot was facilitated by a design precedent by Warmstone Fireplaces & Design, which was available to us via the Tulikivi dealer intranet…. ….and now we are looking forward to receiving the unit for this project which is slated to built in March 2019. Contact us about a masonry heater project! Join our mailing list and/or follow us on Facebook to receive updates!